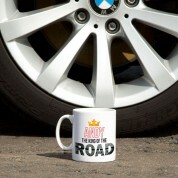 Does your dad or son think he is a Formula 1 Racing Driver? 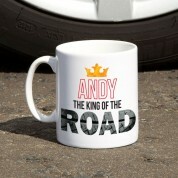 If so he is sure to be proud of his very own 'King of the Road' mug. 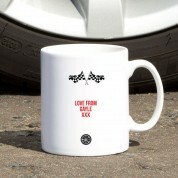 It features a crown design with chequered flags and a steering wheel, ideal for a motoring fan's favourite mug of tea or coffee. 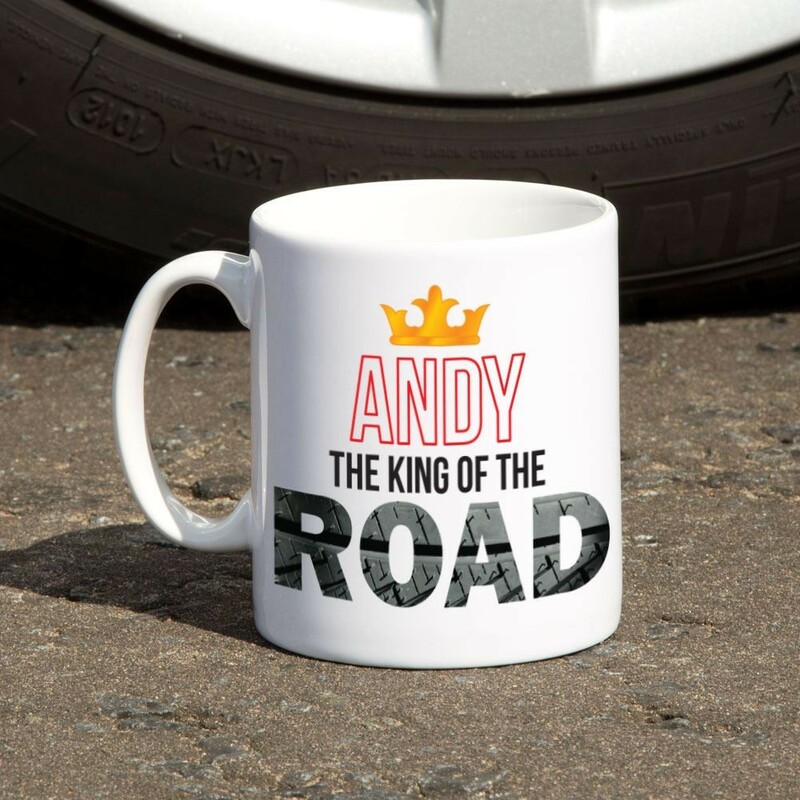 Personalised with the name of your choice and a special message, it is the perfect gift for anyone who loves racing. 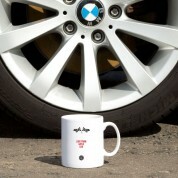 Our mugs are dishwasher friendly but to keep them looking brand new, we recommend that they are hand-washed.